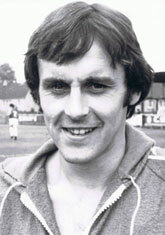 Iain McChesney has given longer service to Queen of the South as a footballer than any other player in the club’s history. Queen’s enjoyed the benefit of McChesney’s dedication and on field versatility in a playing career lasting 21 years. After hanging up his boots, ‘Ches’ has continued to serve the club in a variety of roles. Iain McChesney gave the interview below on the date of Queens’ 90th anniversary, 21st March 2009. “In those days, if you didn’t play junior football you couldn’t go back, you couldn’t get reinstated into junior football if you didn’t make it in the senior game, so you signed for a junior club first. So what happened was I signed for Kello Rovers on the Thursday night and signed for Queens on the Friday”, said McChesney with a smile. “I never played for them,” laughed McChesney. “4 - 1. It was Bobby Black, he laid on my two goals,” said McChesney still chuffed about it all these decades on. “Aye, missing a goal against Clyde. I was part of the team that won it [promotion], but I only played in the last, I think, four games. We had to play Clyde twice. We played up there and I think Clyde were winning 1-0 and I ran through on goals but put it past the post. If I’d scored it would have been the equaliser. We beat them 3-0 in the second game and we finished second [behind Clyde by 1 point and with a better Queens goal average]." After the relegation back to the lower division, Queens missed out on promotion by one place three times in the next six years. McChesney had a somewhat unusual memory of the third of those in 1970. “Oh Yeah! Because, you’re friendly with a lot of the boys, so you knew them and if you met them again, that was it. There was only one thing wrong, the wife was there with me,” McChesney joked. Many people in the UK are familiar today with Metalist Kharkiv, from their UEFA Cup appearances as Ukraine’s third biggest side after Dinamo Kiev and Shaktar Donetsk. However, in Cold War 1970, Ukraine was very much under control of the Soviet empire (even the Soviet president at the time, Leonid Brezhnev, was from Ukraine. Also Brezhnev’s predecessor, Nikita Krushchev, had moved to what is now Donetsk in his teens). The friendly match at Palmerston against Metalist Kharkiv in March 1970 is the only time Queens ever played against a team who were part of the USSR. McChesney spoke well of the opponents from Ukraine in a game in which he scored. Ches - “Oh yeah. We won 2-0. I got stuck up front, ’cause when I started off, when I played with Greystone, I played up front. When I started with Queens I was playing midfield. When we had a few injuries , I sometimes got stuck up there, and I always seemed to score,” chuckled McChesney ironically. 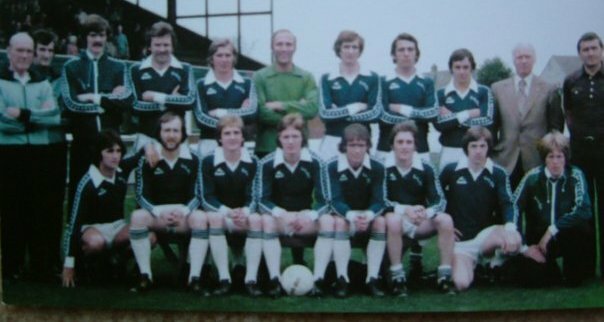 In season 74/75 Queens finished second but league reshuffle meant Queens weren’t promoted to the top flight. There was also the league cup contest against Rangers in September 1975. There was of course a Scottish Cup classic the following February. Queens enjoyed another good cup run, this time in the 1977/78 League Cup. 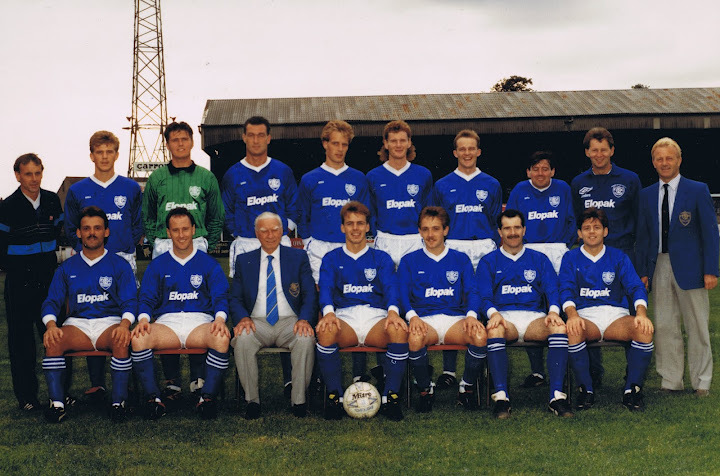 The grounded Strachan remembers the game well, commenting in his auto-biography: “Dundee were on the wrong end of an embarrassing hammering in a second leg League Cup game at Queen of the South – in what proved to be my last match for the club. 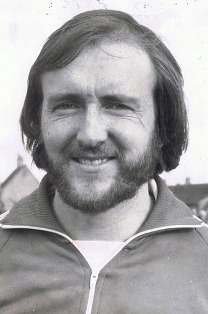 I often refer to that match when talking to players about the importance of never allowing their heads to drop, and how this can provide seemingly unlikely defining moments in their careers.” Queens manager Mike Jackson was friendly with then Aberdeen manager Billy McNeill from their days at Celtic together. When McNeill asked Jackson the day after how Strachan had played he was told, “Not great, but unlike one or two others the wee man worked his socks off.” McNeill offered Strachan a contract at Aberdeen. With Dundee added to the earlier round scalps of Hibs and Brechin, next for Queens was the quarter final. “We finished second. Any season where you’re successful, or you’ve got decent runs in the cup, or you do well in the league cup, or a good league run, you’re sitting there at the top fighting for promotion; every game, they all just seem to fall on top of you. You just pick yourself up, try and win that game, go to the next game and start thinking about that. You can’t look ahead and say, ‘hopefully we’ll win the next 8 or 9 games’. You just take one game at a time, it’s the usual old cliché. We kept going, battling through trying for each game." Iain McChesney is a qualified electrician. This has given him views of Palmerston that only few have enjoyed. 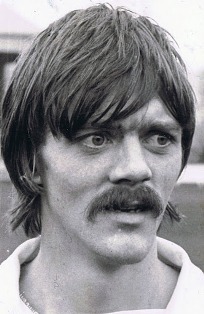 Iain McChesney played in 615 games for Queen of the South placing him behind only ex team mate Allan Ball in the club’s all time appearances list. 79 goals put McChesney in 13th place in the QoS scoring chart as at 3 November 2017. However, it is in the duration of McChesney’s Queens playing career where he is unsurpassed. To put this into context, when Iain McChesney signed for Queens in July 1960, this was only 4 months after Elvis Presley had been signing autographs at Prestwick Airport on the way home from his army service in West Germany. When McChesney hung up his boots, the swinging sixties and flower power had long since come and gone, as had the 70s of glam rock and punk. In 1960 Puskás and Di Stefano scored all of Real Madrid’s goals at Hampden as they won the European Cup 7-3. Aston Villa including Ken McNaught were European club champions in 1982, McChesney’s last season giving him 21 years in Queens’ first team;- 21 years that spanned seven Prime Ministerial terms in the UK (and in Kharkiv, two Soviet Presidencies). 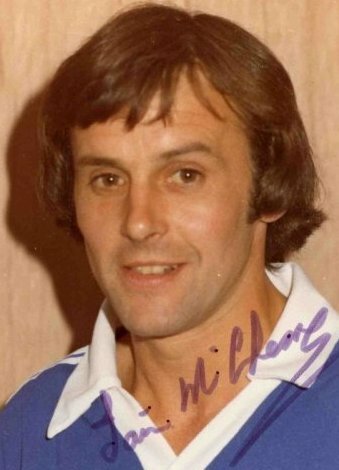 McChesney’s commitment to Queen of the South was rewarded in 1971 with a testimonial against Ayr United. On 1st January 2013 McChesney was announced as being a 2013 inductee into the Queen of the South Hall of Fame.